Lakis Vingas is an entrepreneur managing an export-import business since 1983. 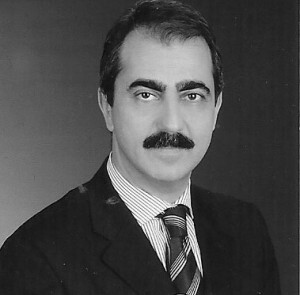 As a member of the Greek Minority of Istanbul, he founded cultural organizations, been a member of administrative boards of Community Foundations, and served as president of the Zographeion High School Alumni Association for 10 years. He was a member of the Advisory Committee of the 2010 Istanbul Cultural Capital of Europe Agency. In December of 2008, he was the first member to be elected to the General Assembly of the General Directorate of Foundations (GDF) in Ankara, representing all 165 Minority Foundations of Turkey. During his term, he has gotten many longstanding issues that concern Minority Foundations a place on the agenda of the GDF. In 2010 he was among the founders of the Association for the support of Greek Foundations (RUMVADER), where he serves as president. He lives in Istanbul with his wife and three children.